Delegations: Maximum of 4 Free Accreditations for each National Team Delegations (Head of Team, Managers, Trainers, etc.) The OC of Dominican Republic will provide any additional accreditations for USD$100.00 per accreditation to all participating national teams. Delegation accreditation cards holders are not permitted to have access to the Field of Play. Registration Deadline: All athlete and coach registration will be processed by the OC of the Dominican Republic Taekwondo Federation. All participating teams must submit their official athlete, coach, team doctor, and delegation entry list by February 20, 2019 Deadline. Official entry list must be submitted in official letterhead of each participating national Taekwondo Association, and must be signed by the President of pertinent PATU member national association. The official entry list must be received by the February 15, 2019 Deadline via email to the OC of Dom. Rep. at frankc342@hotmail.com, and copy to PATU Tournament Director, Mr. Chuong Pham at eey314@gmail.com. All entries received after February 20 will be subject to late registration fee of USD$50.00 per participant. Under any circumstances, No late entries will be accepted after February 28. Entry Fee Payment: All entry fees must be paid by cash payment in U.S dollars upon check-in at the OC registration office at the Event Headquarter Hotel, Fiesta Hotel in Santo Domingo. divisions as specified in the WT Competition Rules & Regulations. qualify. For the Over 67kg weight division, only top 8 athletes will qualify. Kyorugi Competition Rules: The latest WT Kyorugi competition rules that are effective in March of 2019 will govern this qualification tournament. Kyorugi Athlete Seeding: Top 25% athletes as of March, 2019 from each weight category will be seeded in the drawing of lots. 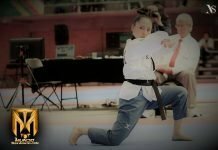 Free Style Poomsae Team Competitions will be judged by current WT Free Style Team Poomsae competitions rules. Each qualifying Free Style Team will auto qualify for individual Male & Female Poomsae, and Pairs Team Poomsae Competitions for Lima 2019 Pan Am Games. All qualified Free Style Poomsae Teams must register one (1) individual Male Poomsae, one (1) individual Female Poomsae, and one (1) Pairs Poomsae Team from their Free Style Poomsae Team members for Lima 2019 Pan Am Games. This is mandatory for all Teams. Individual Poomsae and Pairs Team Poomsae competition will be officiated with Traditional Poomsaes in Lima Pan Am Games. No Free Style Poomsae will be used for individual Poomsae competition and Pairs Team Competitions. Each Team is not permitted to bring additional Poomsae Team members as substitutes. All individual Poomsae competitors and Pairs Poomsae Team members must be registered members of their 5 member Free Style Poomsae Team. Method of Poomsae Competition : As specified in WT Poomsae Competition Rules. Qualification Process: PATU will select 5 Free Style Poomsae Teams first. After Free Style Poomsae Team selection is completed, selection for 1 Female individual Poomsae athlete will be carried out. All qualified Free Style Teams are not eligible to participate in this process as they already qualified for Female individual Poomsae competition for Lima 2019. *The number of possible entries might be reduced for certain countries that have earned qualification slots through the World Para Taekwondo Ranking in accordance with the Qualification Guide for the Lima 2019 Parapan American Games. Only MNAs with a National Paralympic Committee (NPC) will be eligible to enter the Qualification Tournament for the Lima 2019 Parapan American Games. Athletes entering the Qualification Tournament for Lima 2019 Parapan American Games must be classified in the K44 or K43 Sport Class OR go through athlete classification on March 6, 2019 and be assigned a Sport Class K44 or K43. Following IPC Guidelines on data protection concerning athletes and personal classification information. World Taekwondo has in connection with IPC created the World Taekwondo Classification System (WTCS). World Taekwondo Classification System (WTCS) is our new online registration tool for MNAs to register their new athletes and add Medical Diagnostic Forms (MDF) and pictures to be seen by our Classification Evaluation Committee in order to determine if the new athlete is eligible for Para Taekwondo and meets Minimum Impairment Criteria (MIC) and if the athlete has a possibility of classifying in the K44 or K43 Sport Classes. All athletes in the WTCS will require a WT License Number (GAL). In order to activate Member National Association user account information for the World Para Taekwondo Classification System (WTCS) please click on WTCS Account Request From on the following link: https://db.ipc-services.org/wtcs/app/login. Fill out the and submit the MNA Account Request form to the Para Taekwondo Department at para-tkd@worldtaekwondo.org. Username and password will then be sent to the communicated email address. WTCS Account Policy – Each Member Federation must internally designate exactly one (1) primary user responsible for WTCS Account. * Athletes that have earned qualification for the Lima 2019 Parapan American Games though the World Para Taekwondo Ranking will not be eligible to enter the Qualification Tournament for the Lima 2019 Parapan American Games. The team quota for entries will also be reduced for MNAs that have qualified athletes through the World Para Taekwondo Ranking. divisions as specified in the WT Para Taekwondo Competition Rules. Para Taekwondo Kyorugi Competition Rules: The latest WT Para Taekwondo Competition Rules that are effective in March of 2019 will govern this qualification tournament. Para Taekwondo Kyorugi Athlete Seeding: Athletes will be seeded based on their points in the K44 and K43 World Para Taekwondo Ranking when the World Ranking lists are combined. Ranking points does not transfer between weight categories. Athletes not in the World Para Taekwondo Ranking will be subject to randomized draw. Questions: For any questions regarding qualification procedures or how many athletes a team can enter please do not hesitate to contact para-tkd@worldtaekwondo.org. Awards: Qualifying Certificates for all Qualified Winners (NO Medals) for all events. eligible to participate in Female Individual Poomsae qualification tournament. *Additional quota may be available as mentioned previously. Wild card will be considered and be granted ONLY to participating MNAs who did not qualify any athletes at the Official Qualification Tournament. PATU MNAs who did not participate in the qualification tournament will not be eligible for wild card allocation. Para Taekwondo: Any team with an athlete that is classified or is likely to classify in the K44 or K43 sport class will be eligible to apply for a bipartite slot. For new athletes their classification information needs to be entered into WTCS and screened by the WT Classification Review Panel. To be considered for a Bipartite slot, NPCs must submit an official application in writing to World Para Taekwondo between 25 March 2019 and 29 April 2019 to para-tkd@worldtaekwondo.org in accordance with the Qualification Guide to the Lima 2019 Parapan American Games.